Get the best flooring installation services at Panter’s Home Design and Flooring! Some types of flooring can be ruined if they are not installed correctly. Solid hardwood flooring is a perfect example. A common mistake non-professionals make with solid hardwood is to not leave enough (or any) expansion room around the walls. This gap is needed to allow room for the wood to expand and contract with the seasons and varying humidity levels. Without this gap, your new hardwood floor will begin to buckle and warp, over time. Not good! Carpet that is not stretched properly will begin to show signs of looseness. It will show humps and bumps, sagging, and its life span will be decreased. Again, not good! 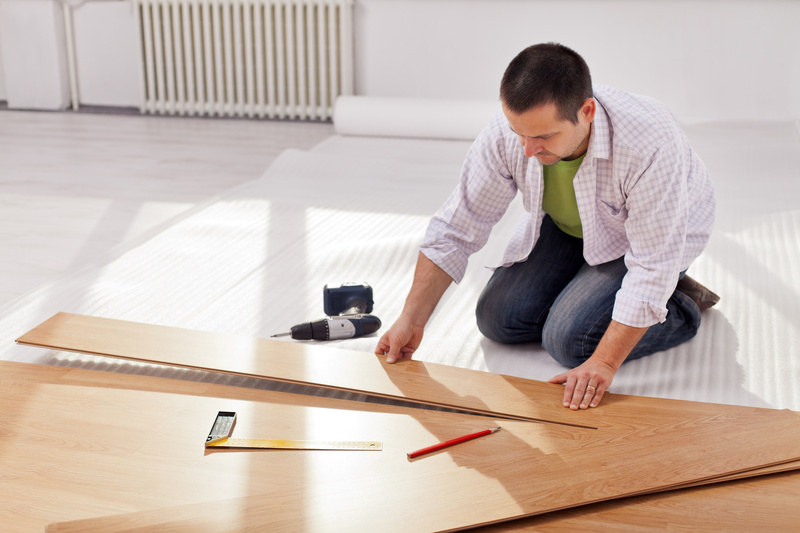 At Panter’s Home Design and Flooring, we know how to install flooring correctly. With over two decades of installing flooring, we have both the experience and the expertise to get the job done right the first time, every time! When you hire third-party workers to install your new flooring, you may or may not be able to find them if something goes wrong with your flooring after they leave. When you hire us to install your new flooring, we are always here, and we stand 100% behind our work. If something goes wrong with your flooring, we will fix it. No excuses, no exceptions. One of the most important benefits you get with your new flooring is its product warranty. All flooring manufacturers require that their flooring be installed using certain techniques and guidelines. If your flooring is not installed to those specifications, and something goes wrong, your warranty can be voided. This can be a costly mistake. The way to avoid this problem is to always hire professional installers. If you are thinking of new flooring and want the best installation possible, come see us at our Corona, CA showroom!